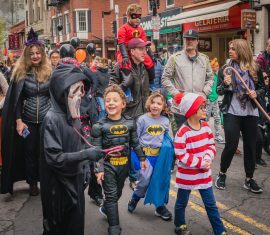 This week’s top posts on NorthEndWaterfront.com featured Halloween celebrations, cultural groups, Boston sports, real estate and more! Read on below to see the most popular articles from the past week. North End families enjoyed the 67th Annual Outdoor Halloween Party on Sunday, October 28, 2018. 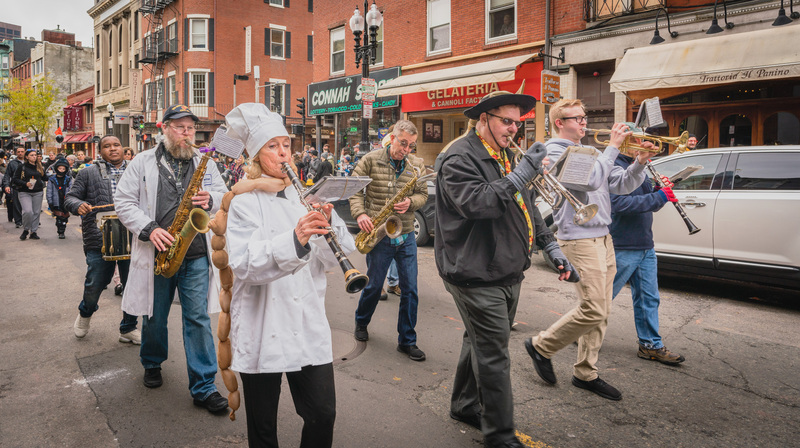 The highlight was the parade through the North End streets led by members from the Saint Alfio’s Band with children and parents dressed in costumes. Read more and see photos here. 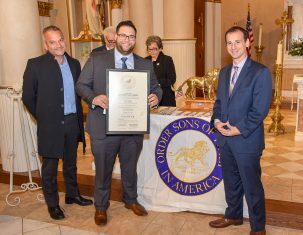 It was a strong showing for reviving Italian-American culture in the North End as over 100 new members were recently sworn in as part of the founding for Lodge #2996 in the Order Sons & Daughters of Italy of America. A formal ceremony was held at Saint Leonard Church on Sunday followed by a social reception at the Fisherman’s Club. Read more here. Red Sox Win the 2018 World Series! The Boston Red Sox are once again World Series Champions! They won the 2018 series in Game 5 against the L.A. Dodgers on Sunday, October 28, with a final score of 5-1. 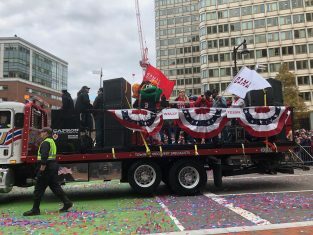 Following their victory, the city held a parade! Read about the win here and see photos from the rolling rally here. The cold and rain couldn’t stop last week’s celebration for the groundbreaking of developer MP Boston’s newest project, Winthrop Center. 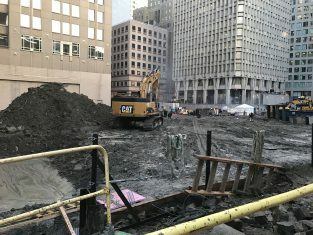 The Center will feature office work space, residential units, retail, dining, and commercial space, along with a curated public gathering space in the heart of Downtown. Read more here. 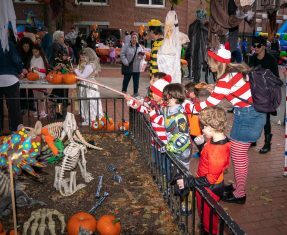 Hundreds came out for the annual North End Neighborhood Halloween Party at the Nazzaro Center. Organized by ROC Teen Saturday (Steven Virgilio) along with NEMPAC and the Nazzaro, there were dozens of games and activities, plus huge bouncy houses and the famous haunted house. Read more and see photos here. The Massachusetts State Election will take place on Tuesday, November 6 with polls open 7 a.m. – 8 p.m. 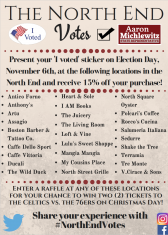 In a new effort by State Rep. Aaron Michlewitz to encourage voter participation, several local businesses are offering 15% off purchases when you present your ‘I Voted’ sticker on Election Day! Read more here and don’t forget to vote! Weekly Top Reads: Lantern Ceremony, Funding for City Projects, 149 Salem St. Proposal, Sen. Boncore’s Priorities, Spring at the Library & Pool Days Ahead!